Like I’ve said before, there is nothing like an Indian wedding. We Indians like to go all out with multiple celebrations, lots of food and most importantly never-ending music and dance! There is so much pressure to satisfy the big crowd at weddings, especially when it comes to music. This is why choosing your indian wedding playlist carefully should be a top priority! But there are too many songs worthy of being played…. where to begin?! If you are looking for some help with your indian wedding playlist or just simply love Bollywood music, here are popular (old and recent) songs from 8tracks which will surely get people on the dancefloor, enjoy! If you have been making the recommended Homemade Face Mask For a Wedding Glow and Super Skin Juice, you’ve hopefully seen a massive skin improvement. But just like skin care is important for beauty, hair care is equally vital for thick and lustrous hair. 1. Drinking at least 8-10 glasses of water a day will not only keep you hydrated but also aid vital parts and functions of the body, including your precious hair! Add 4 tsp lemon juice, 4 tsp coffee powder, 2 raw eggs, 2 tsp oil and some curd to henna or mehendi powder. Heat pure coconut oil and apply it to the scalp and hair at least once a week. Dip a towel in hot water and tie it around the hair like a turban. Apply hair with coconut oil and leave overnight. The next day, apply lemon juice on the scalp and wash off after 30 minutes. 5. With all the running around to prepare for your wedding keeping your hair tied and out of your face is necessary but tying your hair too tightly can cause damage and lead to hair breakage – so be sure to tie it loosely! And I will add a *BONUS TIP* to the vital hair care tips: Get at least 7-8 hours of beauty sleep every night because stress combined with lack of sleep can result in hair loss and damage! Social media, Facebook and Twitter in particular, has become a massive part of our daily lives. Even while working, watching tv or on holiday we can’t resist the urge to keep up with the latest happenings – it is an addiction that most of us can’t deny. 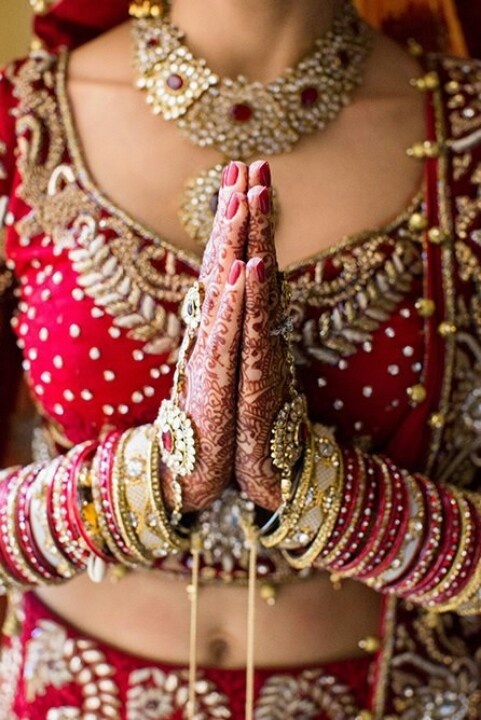 So if you are a bride searching for wedding suppliers, Indian wedding outfits and venues there is something out there that allows you to sit back, relax and spend time on your beloved social network whilst gathering inspiration and advice from 1000’s of professional wedding suppliers all over the world! The Wedding Affair (@weddingaffair) has created #weddinghour on Twitter – an inspirational wedding hour particulary for brides, suppliers and venues all over the world, every Wednesday between 9pm and 10pm. This #weddinghour is your opportunity to do research and plan your wedding. It’s an hour of fun and inspiration – don’t be afraid to ask questions! If you are a wedding supplier or venue this hour is beneficial as it will not only help you gain new followers, but also get your name out there. Use this hour to promote your brand, answer questions and make new friends by retweeting and following other companies – great way to network and build brand name. *TIP* Ask questions to get engagement! Be on your Twitter account between 9pm and 10pm on Wednesday nights. Type #weddinghour into the search bar at the top right of Twitter (to see everyone joining in). Click on ‘All’ Tweets, so you can see everyone who is tweeting #weddinghour rather than just the people you already follow. Start tweeting your message (not forgetting to include #weddinghour) or simply sit back and follow #weddinghour and see what wedding businesses are tweeting about – ask questions, for advice and gain inspiration! Keeping your skin flawless and radiant for your wedding day is a must, especially since all eyes will be on you! But with all the stress of planning this joyous day it is hard to make time for skincare, right? Well, skin specialist Dr. Bindu Sthalekar has a quick solution for this – a delicious juice which is healthy and easy to make! So whether you are getting married or simply looking to take care of your skin, follow this beauty tip of the week for a fabulous glow. *BEST RESULTS* if taken with breakfast! 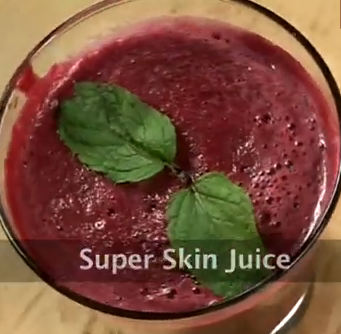 Watch Dr Sthalekhar’s useful video showing how to make this ‘beauty tip of the week’ skin cleansing juice. Have a great day! In my previous posts, Part 1 and Part 2 of ‘Find Your Wedding Dress in UK’ I tried to convince Asian brides in the UK that they can find their perfect Asian wedding lehenga or saree without having to travel to India or Pakistan! As promised, here is a review of the most popular UK bridal stores for Asians. Strand of Silk is an online retailer offering the latest indian wedding wear collections for women and men, from some of the best Indian designers, such as Anita Dongre, Raakesh Agarvwal and Siddartha Tytler. Strand of Silk offers such stunning collections (Indian bridal sarees and lehengas) and special services which are definitely worth checking out. Their special services include a custom made service ‘Made for You’, where brides have the option to personalise their dresses to suit their requirements. With this special service they provide you with very detailed measurement instructions (pictures and video) to ensure perfect fitting. Additionally, if you are looking for just a size alteration, they offer one free alteration service for Bridal orders! Other Strand of Silk bridal services include ‘Experience The Dress’ with which you can have your outfit ordered to your home to see the embroidery and style, try it on and show family members and friends. They also offer expert styling assistance, such as different combinations of an Indian bridal lehenga, saree and accessories, what styles can be worn at different ceremonies, as well as styling tips for guests! Onitaa – When I walked into this store I felt like I was entering a princess walk-in-wardrobe as it gives such a luxurious feel, and filled with stunning Asian Bridal sarees and lehengas. The first half of the shop offers stunning collections by Pakistani designers (for women and men) such as Deepak Perwani and Zainab Chottani, whilst the far end displays Indian fashion by designers such as Mansi Malhotra and Arnab Sengupta. However, I was more impressed with the Pakistani collection than Indian – the Indian bridal dresses were either too gaudy or too simple! On the other hand, I loved some of their in-house creations which are definitely worth checking out! 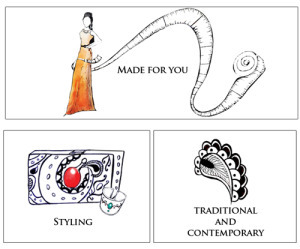 They also offer some pretty contemporary clutches and jewellery by Amishi. Phulkari London – Phulkari’s store is located on Ilford Lane (East London), conveniently situated for Indian wedding shopping. 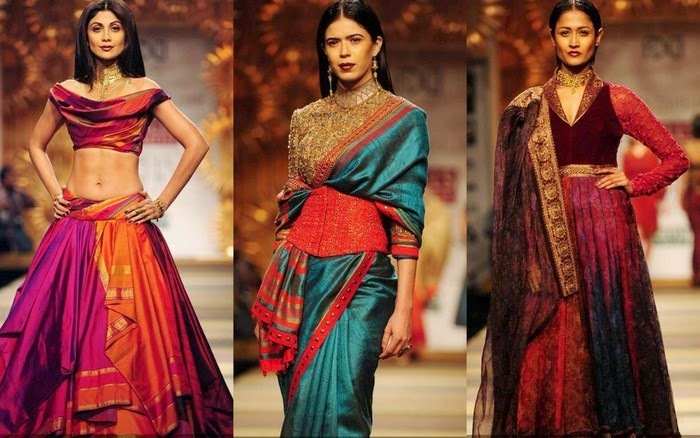 They offer a great range of Asian fashion designers from India and Pakistan, including Sabyasachi and Satya Paul. They also offer their own in-house collections Phulkari Bespoke which are eye-catching with starting prices from £700. RDC London – Another store located on Ilford Lane, the heart of Asian fashion shopping, offers gorgeous Indian and Pakistani inspired fashion and bridalwear. This is a great store if you are not interested in a designers name but rather a pretty and affordable wedding dress. Their special bridal service offer includes creating a wedding dress from scratch to fulfil your requirements! Aashni + Co – This gorgeous store definitely lives up to its high-end location Notting Hill, offering Indian wedding outfits from some popular Indian bridal designers such as Rohit Bal and Manish Malhotra. 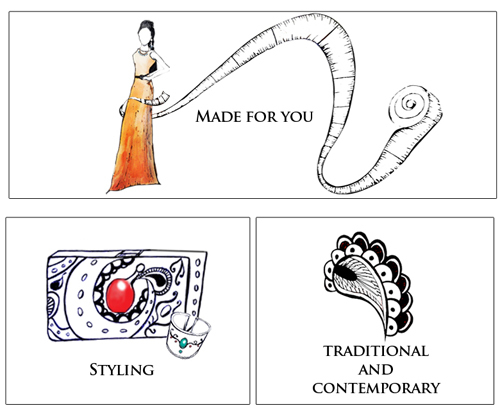 If you have a high budget and want to be seen in specific designer’s creation, then this could be the place for you. Personally, Strand of Silk is my favourite of the UK bridal stores for Asians since they offer such a beautiful bridal collection suitable for a range of budgets. They are also extremely helpful, by giving the option to have the garment ordered home to try on and show others before committing yourself. You can simply sit back, relax, order your dream dress at home and let them do the rest for you. They will advise you and handle the garment with so much care – they truly understand the importance of a wedding dress for a bride! I have heard enough stories of people flying back to India because their customised outfit fitted horribly or was completely the wrong style. Getting the perfect fit is vital and if you have already spent a lot you will do anything to make sure it is faultless, even if it means flying back and forth. So unless you plan to visit for a long period of time (to travel or see family) I don’t think it’s worth it, especially because you could end up finding nothing – you would have wasted precious time and most importantly money! But where to find your fairy tale wedding dress in UK?! There are numerous Indian fashion retailers offering beautiful bridalwear (and accessories) in the UK- it all depends on your taste and budget! These retailers sell stunning wedding outfits with various styles, colours and special services. Watch out for the next post which will give you more details on what each of these bridal stores have to offer! How many stories have you heard from friends, family or even strangers about their unfortunate experience of travelling to India or Pakistan to find their wedding dress? I have heard too many! Wearing a beautiful and extravagant wedding outfit is the requirement for all Asian brides, but who said you have to travel across the world to find it? 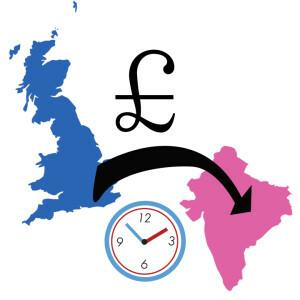 Many Indians in the UK believe that buying your wedding dress from India is the cheapest/best option, but this is often not the case. There are hundreds of shops in India offering many beautiful choices, but which shops are offering the best quality, designers and prices? You need to be careful. Firstly, prices in India are not as cheap as you might think. India is known for its bargaining habits which is why many shops start prices high, meaning that unless you have good bargaining skills you will struggle to get reasonable prices! What’s worse is that some shops don’t even have price labels for their garments – if you seem clueless, desperate or unaware, they will surely take you for a ride. So unless you are aware of the best local shops and their prices, you will need to rely on local friends or family to accompany you – and that’s if you are lucky enough to have any! Then there are travel expenses – getting an air fare cheaper than £400 to India is nearly impossible. And let’s not forget about hotel expenses which keep increasing the longer you stay – finding your dream outfit should not be rushed! So before you know it, with just the cost of travel and stay, it could easily match the cost of a gorgeous wedding dress! There are various reasons why travelling from UK to India is not (usually) worth it. In the next post I will continue, as well as provide you with a list of popular bridal fashion retailers in the UK. March was a month of fashion with Lakme Fashion Week 2014 followed by Wills India Fashion Week 2014. 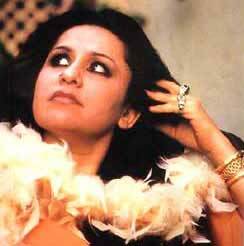 These fashion extravaganzas saw many respected names in the fashion industry showcasing their impressive collections. So get some inspiration for your wedding dresses from these experts in the fashion world! Designer Tarun Tahiliani opened the Wills Lifestyle India Fashion Week Autumn-Winter 2014 on a royal note. 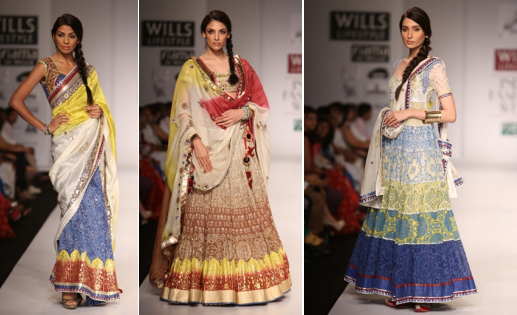 Tarun’s gold rush royal collection was full of beautiful silhouettes, mughal cameos and temple necklines. Actress Shilpa Shetty with her high glamour walked the ramp in a multi-colored kanjeevaram skirt and well fitted cropped corset blouse in Tarun’s creation. The designer’s collections consisted of ethnic saris with waist belts, dhoti pants, fully embellished, lehenga choli printed jackets, lungi skirts, kaftans with belts and intricate salwar pants which looked great!. High collared blouses gave a regal and feminine touch to silhouettes. The dori and gota lehengas paired with brocade blouses were also a gorgeous part of his collection. Embellished blouses, silk drapes, rich Indian heritage sari, jamawar work, corset blouses and the seven-stringed necklace also looked very appealing. Rich tones of tapestry with a color palette ranging from a perfect blend of blacks, whites and beige, emerald, topaz kesar and deep blue. Another talented Indian designer, Poonam Dube showcased his collection of traditional wedding dresses at Wills Lifestyle India Fashion Week 2014. These dresses indeed showcased the creativity of Poonam Dubey’s designs. Short blouses with chunet type lehengas, printed maxi’s and Marathi style sarees. The dresses were embellished with fancy tassels, trimmed laces and were made of fabrics such as chiffon, cotton, viscose & self print stuffs. White, yellow, copper, baby pink, brown, blue & cream. So there you have it, from Lakme Fashion Week 2014 Bridal Collections to Wills Lifestyle India Fashion Week 2014, you can get plenty of wonderful ideas for your wedding outfits! Remember, you don’t have to follow the trend – use these as inspiration but have your own style!